So far mchale has created 55 entries. Brothers Padraic and Martin McHale receive FTMTA Gold Award from Minister for Agriculture Michael Creed and FTMTA chief executive Gary Ryan and president Jimmy Butler. McHale recently attended the 2019 LAMMA show at the NEC in Birmingham. Over the shows two days our stand in Hall 10 was extremely busy with large crowds gathering to look at and evaluate the latest products from McHale. They also availed of the excellent discounts we had at our merchandise shop. The 3rd round of the Bridge Signs Ireland West Duathlon series is sponsored by McHale Engineering. We are very lucky to have this internationally recognised company come onboard once again. McHale claim the title of the "Heaviest Bale" at the Royal Welsh Grassland Event in Powys. Large crowds gathered to Ballinrobe Racecourse on the fine summers evening of May 29th for the fifth annual McHale Race Day. At this year’s FTMTA Grass & Muck on May 17th in Gurteen, Co. Tipperary, McHale will be demonstrating a full range of machinery, giving new and existing customers the chance to experience McHale high output machines in action. With Summer fast approaching preparations are well and truly underway for the fifth annual McHale Race Day which takes place at Ballinrobe Racecourse on Tuesday, May 29th. 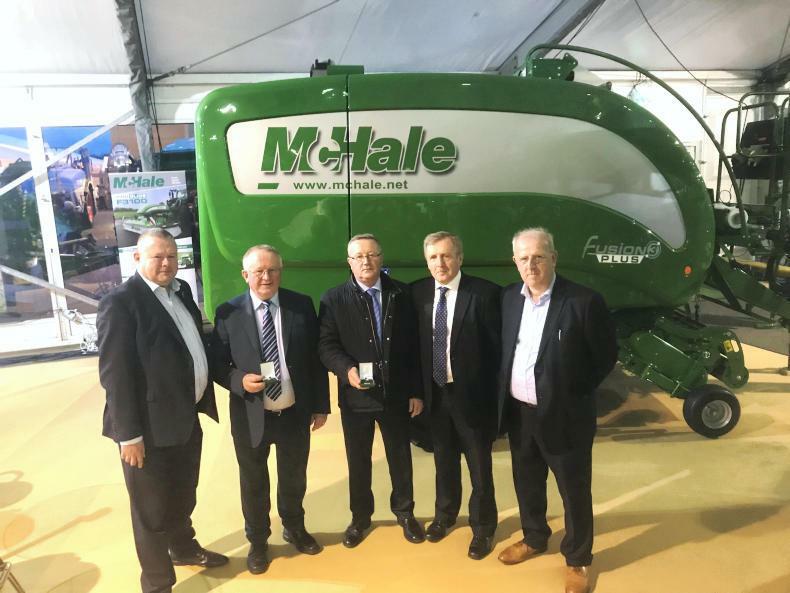 McHale displayed a wide range of machinery at Agritechnica in Hanover, Germany in November 2017. A number of products were launched at the show to the world market which is held every two years and attracts a wide range of visitors over seven days from all over the world. Building on their comprehensive range of grass machinery, McHale will introduce their R 68-78 centre delivery rake on the 12th of November at Agritechnica, Hall 27, Stand E50.